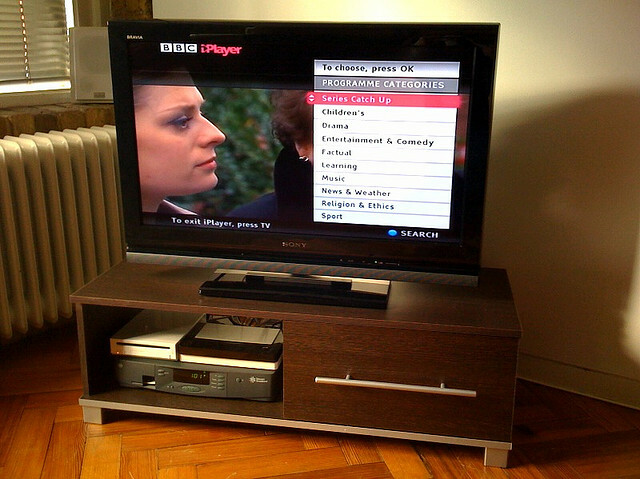 The BBC’s iPlayer online catch-up service is continuing to draw users, posting a 24% yearly increase in total requests between January and April, with smartphone, tablet and other Internet-connected devices starting to draw users away from traditional desktop iPlayer use. Releasing its quarterly report (albeit a little later than planned), the BBC recorded 190 million requests for its content per month in the first quarter, with over 140 million for TV and around 46 million for radio shows. During that time, smartphone and tablet devices accounted for 15% of total programme views, with Internet-connected devices — including your Smart TV, games console and Blu-ray player — contributed a further 11%. The figures are impressive when you factor in that mobile device use almost doubled (94%) in one year and Internet-connected devices saw 57% growth from April 2011. The majority of users still access iPlayer via the desktop but the use of IPTV devices, games consoles and mobile devices has slowly risen in the past few months, clawing back a small share of requests. At the beginning of the year, the BBC announced that 1.94 billion TV and radio programme requests were made on iPlayer across all platforms in the UK in 2011, its highest number ever. 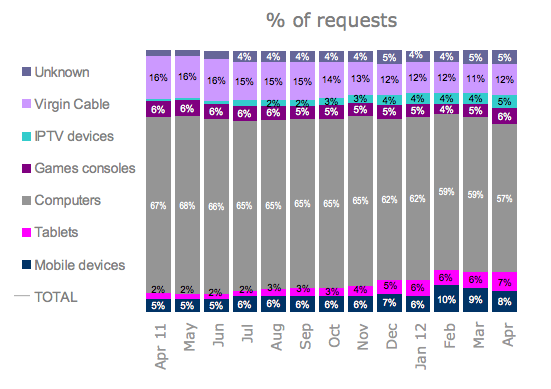 Although computers are still the most popular platform for BBC iPlayer users, accounting for two-thirds of requests last year, December saw a massive spike particularly for mobiles, tablets and connected TVs.